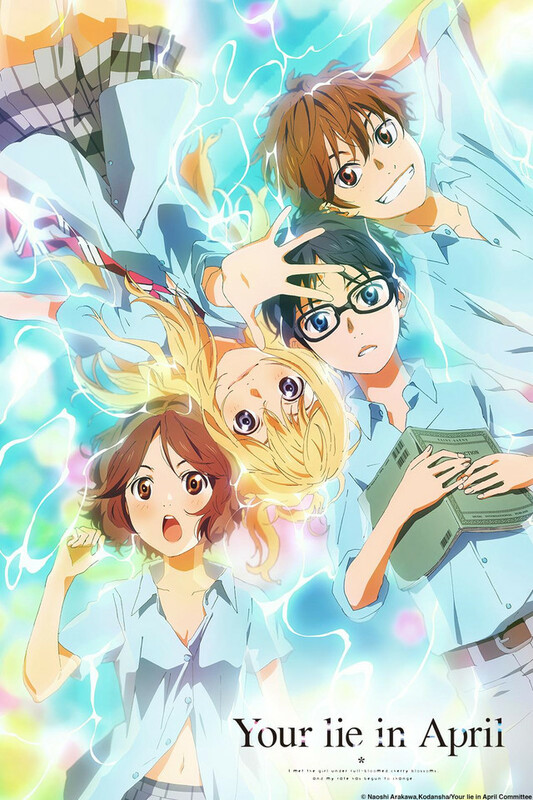 Anime Limited to release Your Lie in April in the UK. Coming to Blu-ray and DVD in the UK in 2016. Synopsis: Kousei Arima was a genius pianist until his mother’s sudden death took away his ability to play. Ever since then, each day was dull for Kousei. One day, he meets one violinist by the name of Kaori Miyazono. This care-free, independent, and sometimes short-tempered girl had an eccentric playing style that immediately fascinated Kousei. His once monotonous life was about to change forever. At this time we can confirm that we’ll be bringing the series to both Blu-ray and DVD in the UK in the third quarter of 2016. We have no other details than that at this time, as soon as we can share more we’ll be sure to do so. If you’ve not sampled the series before it was simulcast to the UK through Crunchyroll and is also now available to view on Netflix UK as well. Check out the English dub and subtitled trailers from Aniplex of America below. This is seriously the best news ever! Almost finished watching the dub on not so legal ways. Im glad that Anime Limited is releasing this quikcly so I dont need to wait forever to rewatch it again. This masterpiece should be in everyone collection! I just hope you guys bring the price down xD. In the US they have to pay 130 dollars for each blu-ray set, and there is 2 of those xD. Awsome news! This anime looks beautyfull, and I love good drama series! I’ve been waiting for this announcement. Fitting to announce it in April, even if it is April Fool’s Day. Quite honestly, I’ve read the manga several times and now seen the anime 3 times… I would throw so much money at a Collector’s/Limited Edition box for this.